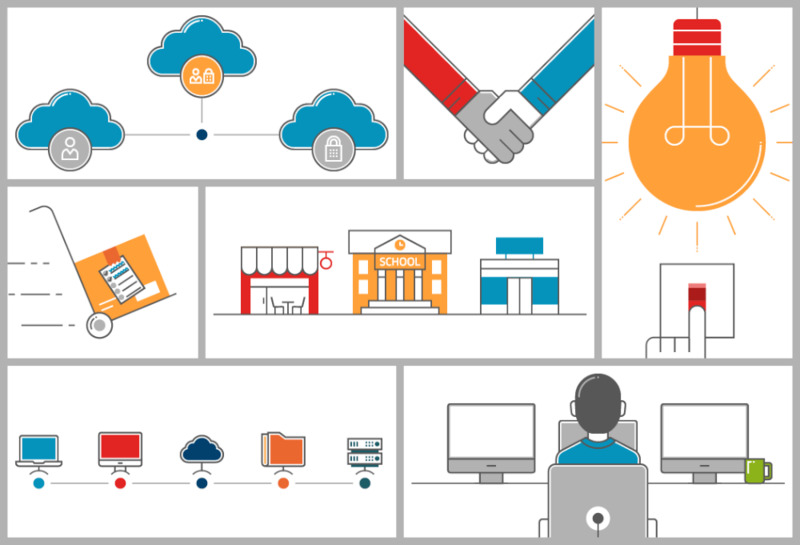 This animation was produced to promote the affordability of Commvault Solution Sets for SMBs. As this was the first animation produced under the new brand guidelines, I had the opportunity to establish the illustrative style. I wanted to create a simple illustrative style that gave reference to the clean lines and vibrant colours used in the client's brand guidelines. Clips displaying highlights from the animation. Select HD 720p in the movie controls above for a higher quality viewing experience.